For the third installment of the Hillside Project, Wolle Nyvelt considered everything he knows and loves about riding and shaping boards and put together the three-board quiver of his dreams for us. 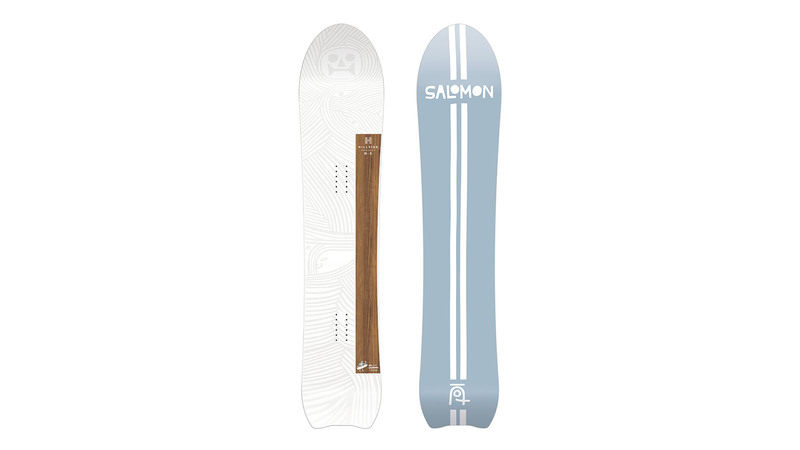 First, an all-terrain powder freestyle masterpiece derived from takeaways of his favorite Salomon boards over the past 20 years. Second, a true powder gun inspired by his latest ÄSMO creation. And of course, the ÄSMO board itself to complete the lineup. This true park board with a classic blunt shape comes upgraded with technology for amplified park performance. Huck Knife Pro is built to handle any feature, loaded with a versatile flex and ultra-light Ghost Green Core. It also features a cork / honeycomb insert on nose and tail to reduce spin weight. Riders who like to go high in the air will like the pop and response of this board provided by the famous popster booster technology. The Huck Knife pro is ready for side hits, park jumps, rails, tree jibs, and endless tricks. The Bellevue is designed for the ladies looking for precise edge control. 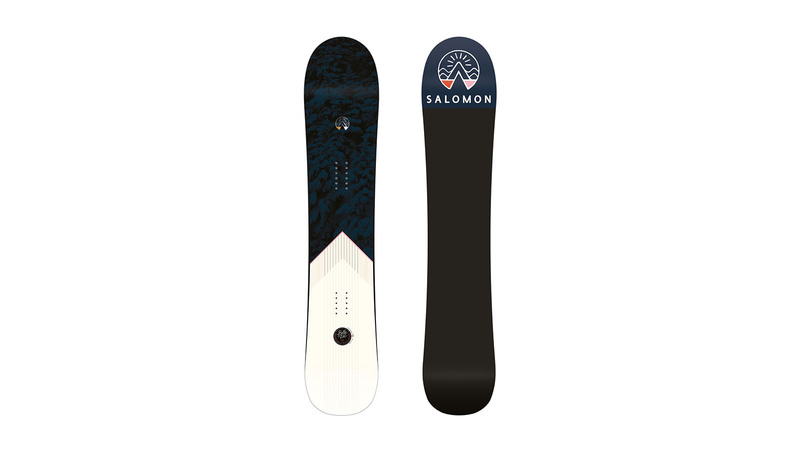 Whether you’re ripping pow or carving groomers, the wider design with the control under your back foot and allows for smooth maneuverability, speed, float, and belongs in every quiver. This new women-specific shape has been designed by taking inspiration from our learnings with the Super 8 and the collab with Takaharu Nakai on the last winter’s Hillside project. With this board we are filling a gap in our women’s board range. We think that there is a true potential for an all mountain directional board which is super versatile and not too specific to powder. A board that can be ridden every day and which is at home in the deep pow. Last year, with the Speedway board, we introduced the C/FX Superfiber, a mix of Flax and carbon that make freeride boards strong and really smooth for high speed carving or powerful slash in the deep stuff. In 2019/20 we created a takedown of this tech, C/FX Basalt, that will equip the Super 8 and the latest Bellevue. This mix of Basalt and glass fibers is a perfect additive to improve performance of our directional freeride shape whatever the snow conditions. More power and smoother ride. We are also using more and more cork in our board construction. Because it is a light and eco-friendly material and it has amazing vibration and shock absorption capacities. We use it in the freeride boards (Speedway and Super 8), as a nose insert for high speed vibration absorption. We also use it as a sidewall deepening technology. All the impact and chatter protection riders need while standing up for Mother Nature. For our 3 product lines, our n°1 focus is the quality delivered to final consumer. When we say quality, it means the performance, the durability, and the look. So we are closely working with our production partners to improve and deliver better products each year. It depends on the region we are talking about. We are strongly represented on the three main markets EMEA, Japan, and North America and there are completely different region in terms of purchase habits and consumer needs. 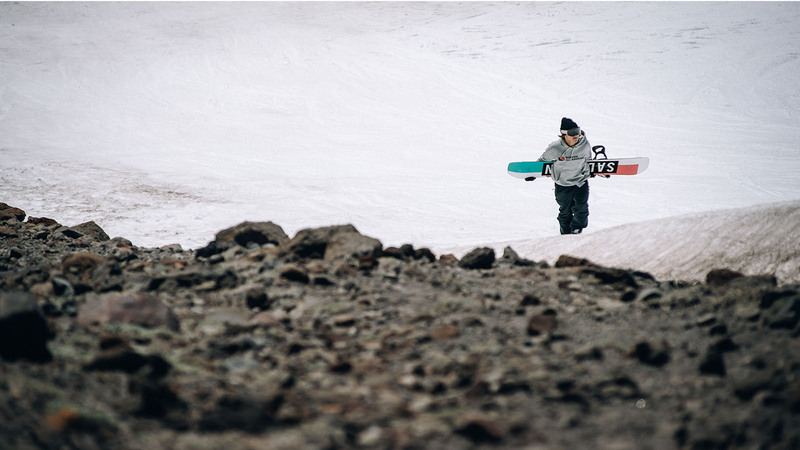 But, if we compare freestyle, all mountain and freeride, there are 3 key price points. Freestyle is around 450€, all mountain around 500€ and freeride around 650€. We see a true potential for high end products with a higher price. As we observe a generational shift, the consumer riding for more than 15-20 years is now looking for exclusive product with unique tech and stories. As the 400€ price point is the most attractive, we at Salomon, want to deliver the best for our consumer. That’s why we offer a sintered base, hybrid camber, hybrid sidecut at this price point. One of the main pillars of Salomon’s shaping philosophy is versatility. We think that our boards should not be too specific in order to deliver the best riding experiences. One of the best examples of this are all the boards designed by Wolle Nyvelt for the Hillside project. The Taka for example is a unique powder shape inspired by Japanese powder riding style. But this board has a true tail, can ollie, land switch and can be ridden in any snow conditions. We also think that creating timeless shapes more than crazy unusual shapes is what consumers look for. In fact, our consumers are not buying this kind of board every year. So they want to keep their board for years and don’t want to get tired of it. Next year you will see a modern and sharp product line. Breaking the usual board graphic layouts, playing with new colour themes, textures, and materials. The Hillside range brings a new visual language that mixes modernity and illustration authenticity with artists like Jean Jullien, Mister Tucks or Fernando Elvira. The Freestyle line is animated by lots of different inspirations. All the board have their own inspirations, from 90’s graphics to edgy printing design. As every year, our team of riders will ride our Freestyle Flagship boards, The Villain, Assassin, Huck Knife and Gypsy. So we will keep pushing those four iconic boards and it will concentrate a lot of our marketing efforts. We will also create inspiring content around the Hillside project and the Wolle’s dream quiver in collaboration with Äsmo. We are really proud of this quiver. Beside the tech upgrade of the Super 8, we are collaborating with North Drinkware, an Oregon native glass brand exploring the mountains’ unique shapes. Inspired by the iconic mountain they call home, Josh Dirksen and North Drinkware present the new Super 8 board and Mt Bachelor Pint. A perfect pairing for those who enjoy a crafted beverage after an epic day on hill. This will be for sure one of our marketing focus.